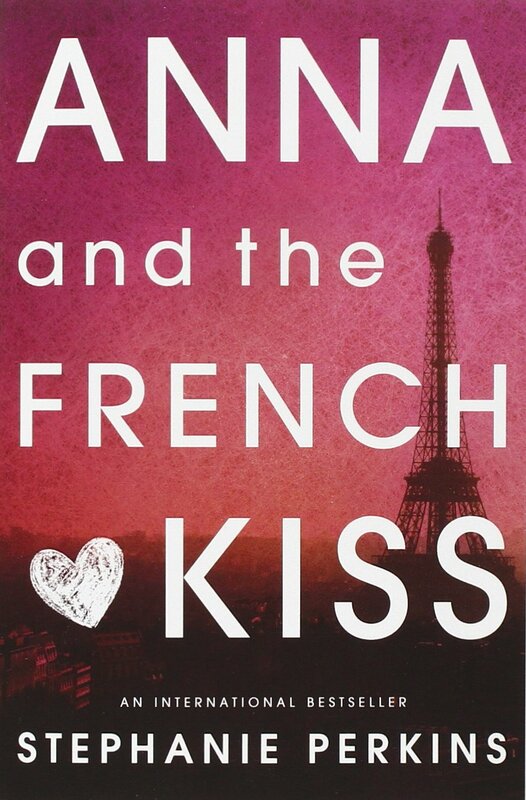 [BOOK] Anna and the French Kiss. “Anna and the French Kiss” by Stephanie Perkins is the first book from the series of the same name. I have not read the subsequent books but from the titles of the books, I don’t know how they are all connected given the different names of the protagonists. This was a fairly fast and easy read which follows the story of Anna Oliphant, an American high school student, who is sent to study in Paris by her novelist father. She does not want to study in Paris but she has no choice but to concede. There, she meets various characters including Etienne St. Clair, a half-American, half-French, British-speaking guy who becomes Anna’s love interest but there’s a catch – he has a girlfriend. This is a story we’ve already seen and heard before. It is not something new or ground-breaking but it is still a light-hearted story that would make you wish your father shipped you off to Paris where you would meet the perfect boy and live happily ever after. It was fast-paced but I wish the author would have given more depth to the other supporting characters rather than just being there for the sake of “being there.” The supporting characters like Meredith, Josh, Rashmi and even Ellie (St. Clair’s girlfriend) had significant roles to play in the story but I kind of wished I knew a little bit more about them. I wanted to care for them as much as I did for the other characters. I might read the other books when I’m looking for a light read. I would be choosing from Stephanie Perkins’ and Jennifer E. Smith’s books if ever I am in need of a fun, light-hearted teen romance. 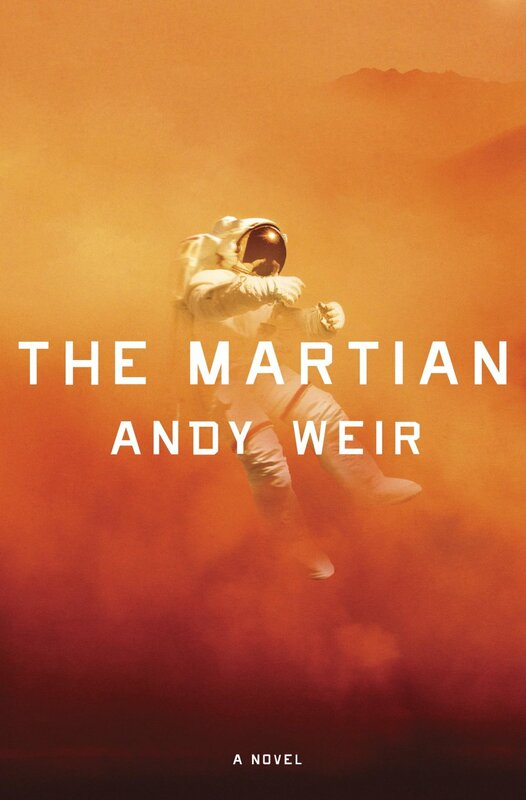 “The Martian” by Andy Weir is about an astronaut who gets stranded in Mars after his other crew members leave him, thinking he is dead. I did not think I would enjoy this book as much as I did, partially because I was expecting it to sound slightly more scientific and complicated and the other, because I’ve never read a book set in space before. I’m quite thankful that it’s not as per my expectations. Mark Watney, the astronaut that gets left behind, is a funny, resourceful, intelligent man. I also admire how positive he is about everything and he doesn’t lose hope no matter how dire his situation is. When he realizes he is alone on Mars, his survival mode instinct kicks into full gear. He even devises a way to grow crops on Mars to extend his food supply. Talk about determination! Apart from his brilliance and resourcefulness, his sense of humor is what got me rooting for him until the end. There are various POVs in this book: 1) Mark Watney in his Mission Entries 2) NASA and their struggle to keep Mark alive 3) Hermes crew 4) Narrator. I obviously loved Mark Watney’s entries because they’re always, always funny. No matter how serious and dangerous things are, he just laughs it off. The one I hate or dread was the narrator’s POV because it most definitely means there’s something detrimental that’s about to happen and no one knows it. Like one of those, “Little did he know…” scenes that we see in movies where everything goes horribly wrong for the protagonist. The whole time I was reading this, I was imagining Matt Damon as Mark Watney. I had a hard time picturing Matt Damon being jolly and funny because of his previous role as a deranged astronaut in Interstellar. It’s also a good thing I did not watch the trailer before finishing the book. It would’ve taken away some of the surprise element and that’s basically what was the most gripping about this book. You get so absorbed in Watney’s adventure on Mars that you would just keep on turning the pages until the end to find out what happens. All in all, it was a very easy and fun read that keeps you on edge every time Mark Watney is put in a life-threatening position and yes, he is put in danger many times! As if being alone in Mars isn’t dangerous enough! 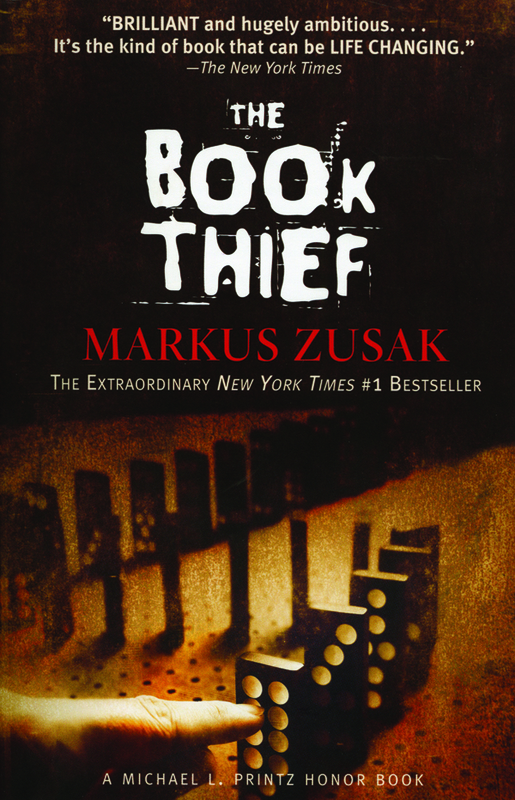 The Book Thief by Markus Zusak is a book I’ve encountered many times before but never really picked up because of well, the cover. HAHAHA.. I know they say that “You must not judge a book by its cover.” Let’s be honest though, most of the time, we do. It’s just human nature, I guess. That’s where the book designers come to play. They MUST make the book covers interesting and eye-catching. The interesting part of this book is how it is told from the perspective of, not Liesel nor an anonymous narrator but by Death. Yup, Death – the hooded creature (only when it’s cold) which we all imagine to be holding a scythe (which he doesn’t, he assures) and comes for those whose time on Earth has come to an end. In many parts of the story, he shows a fascinating point-of-view and a unique voice which only makes sense because of his nature and character. The characters are very likeable because of their warmth despite a tough demeanour. This was especially apparent in Liesel’s foster mother, Rosa Hubermann. She is a stern woman who does not shy away from cursing at people and telling them off, even to her new foster child, Liesel. Despite her harsh words though, you could see her love for her family through her actions. Actions do speak louder than words. Personally, Rosa Hubermann reminds me of my own mother. She’s the type of person who would not show her soft side and most of the time, her concern comes off as a reprimand. This is why I appreciate the character of Rosa Hubermann; she has a special place in my heart. Hans Hubermann, Liesel’s foster father, on the other hand, is not like Rosa at all. He is warm both on the outside and the inside. Hans is the quintessential father figure you could ever think of. It’s hard not to like him. In fact, most people say he’s their favourite character in the book. Words are very powerful. They inspire. They move people. They drive people. They also destroy. This is the message that I got from the book apart from the typical family, love, loyalty, friendship themes. Words can be used as a weapon. The bearer of words has the power to influence, convince and move people. It’s a very dangerous weapon when weilded by the wrong person. This book not only promotes love for reading books but also the cultivation of using words and its importance.